← Is Halloween too scary for children? 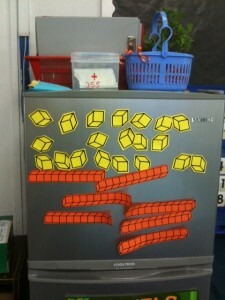 As soon as I put the manipulatives up, there was no explanation needed. 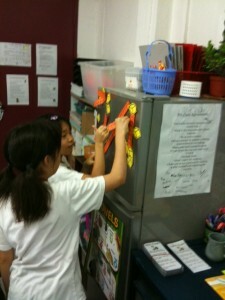 The students went right to them and began to use them. Whether they were working on math, lining up to go somewhere, or having snack/break, the students not only saw the tool but realized it’s value and jumped right in. A simple idea I know, but providing tools around the classroom for students to access on their own increases their independence and ability to help themselves. 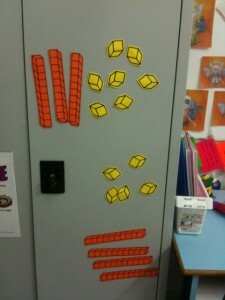 This entry was posted in assessment, Math and tagged assessment, formative assessment, fun, math, peers. Bookmark the permalink.